Check Out The Trailer for ‘The Sessions’!!! 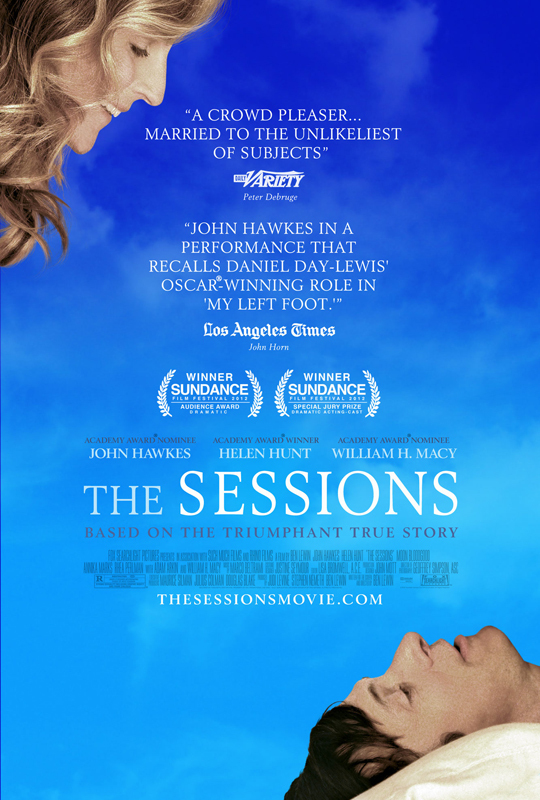 Based on the poignantly optimistic autobiographical writings of California-based journalist and poet Mark O’Brien, The Sessions tells the story of a man confined to an iron lung who is determined–at age 38–to lose his virginity. With the help of his therapists and the guidance of his priest, he sets out to make his dream a reality. This film screened at Sundance and was a big hit with the crowds. It stars John Hawkes, Alan Arkin, William H. Macy, and Helen Hunt. Ben Lewin served as director. Check Out The Amazing Trailer for ‘Dead Snow: Red Vs. Dead’!!! ‘The Babadook’ Is Scaring The Hell Out of Audiences at Sundance!! This entry was posted on Friday, June 29th, 2012 at 9:36 am	and is filed under Film, News. You can follow any responses to this entry through the RSS 2.0 feed. You can skip to the end and leave a response. Pinging is currently not allowed. « Bryan Reviews ‘Beasts of the Southern Wild’!! !